Following the first sold-out event of our Kwe Performance Series in November, 2016, Native Women in the Arts is pleased to announce the second showcase in the series Sadie Buck with the Hey He Yays. Join us Saturday January 21, as we partner with the Feminist Art Conference (FAC) to present renowned Haudenosaunee singer Sadie Buck with guests artists the Hey He Yays, followed by a Q&A with Sadie and NWIA’s Artist Producer Erika Iserhoff. 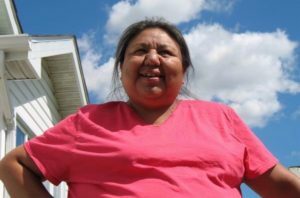 On January 20, at Sadie will present a free workshop at Native Women’s Resource Centre of Toronto with discussions about traditional and modern Haudenosaunee life. She will perform and discuss Haudenosaunee singing and songs, invite participants to join in, and answer questions. Sadie Buck was born into a long line of traditional singers and dancers. Her life as a traditional singer has honed her training and performance skill to a master level. Sadie has taken her traditional training ideology and transposed that to her contemporary life as an artist, performer, facilitator, director, author, trainer, researcher and consultant. Sadie is also the lead singer of the Six Nations Women Singers, one of the most influential female Native singing groups. They have recorded with Robbie Robertson and performed at the Presidential inauguration in 1997. Representing the Onkwehonwe people, she is from the Seneca nation of Six Nations of the Grand River Territory and Tonawanda Seneca. Currently a part-time instructor at UWO and sessional instructor at McMaster University, she has also taught at Harvard University, Hamilton College, University of Toronto and at the National Aboriginal and Islanders Skills Development Corporation in Australia. 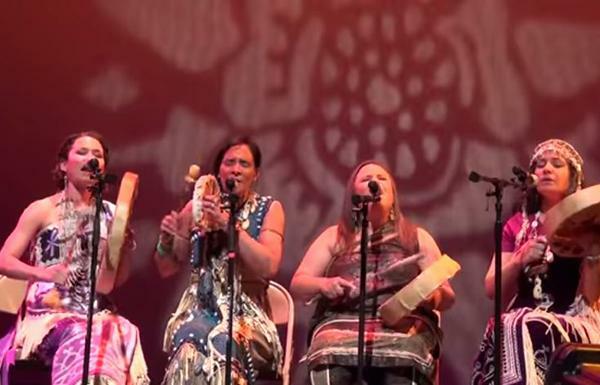 Sadie Buck established and ran the Aboriginal Women’s Music Program at the Banff Centre for three years where she organized and co-led the JUNO nominated recording, “Hearts of the Nations”. 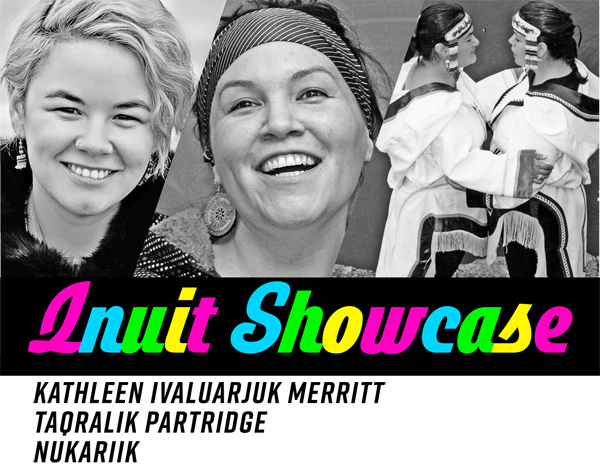 The success of this program brought together Aboriginal women from all over the world to collaborate together, sing and perform. Sadie also wrote and co-directed the celebrated Aboriginal dance opera “Bones”. Honoured for her significant contributions to Ontario’s folk music community, Sadie was the recipient of the Estelle Klein Award in 2015. This year is the Feminist Art Conference’s 4th conference to be held at OCADU from January 9 – 21, 2017. This includes a two-week multi-disciplinary exhibition in the Great Hall at OCADU and satellite exhibitions at York University and University of Toronto. 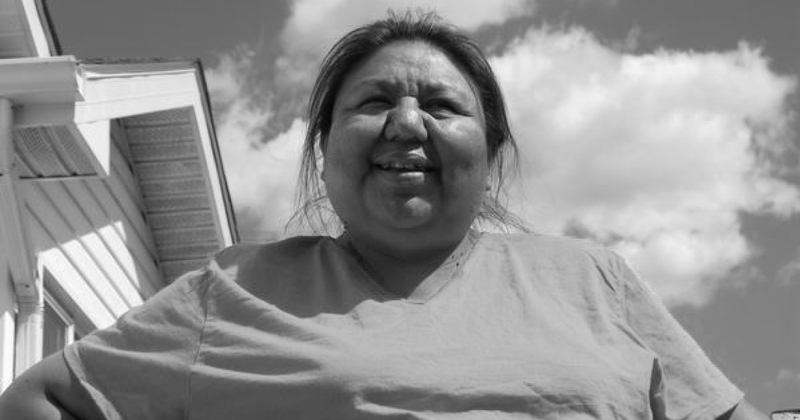 The Native Women’s Resource Centre of Toronto began when a dedicated group of Aboriginal women recognized the need for a gathering place in Toronto where Aboriginal women could share resources, support one another, and practice their traditional ways. Today, NWRCT provides a safe and welcoming environment for all Aboriginal women and their children in the Greater Toronto Area.